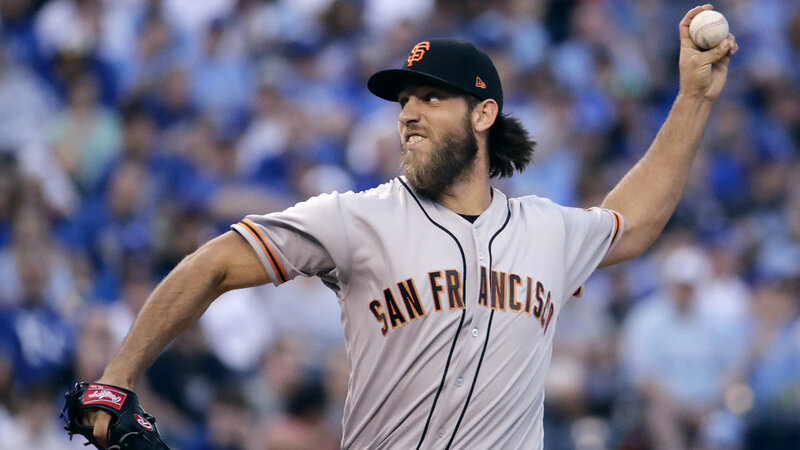 SAN FRANCISCO -- Giants ace left-hander Madison Bumgarner has been put on the disabled list for the first time in his big league career after a dirt bike accident that sent him to a hospital with bruised ribs and a sprained joint in his pitching shoulder. San Francisco placed him on the 10-day disabled list Friday, a day after the accident occurred on an off day in Colorado. The Giants said Bumgarner is out of the hospital and resting at the team hotel. He is scheduled to be re-evaluated next week. The 27-year-old Bumgarner, the 2014 World Series MVP, is 0-3 with a 3.00 ERA in four 2017 starts. Bumgarner has received just five total runs of support in his first four starts, including one run or none in three of them - and he homered twice to drive in two of those. Click here for more stories, photos, and video on the San Francisco Giants.